departments in the company are dedicated to achieve the goals of customer satisfaction, the company recognized that to maintain its position as market leader. An effective and dynamic Quality Management System is essential. 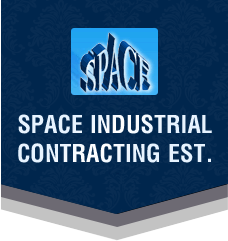 Serving our customers is the primary consideration at Space Industrial. The quality policy is defined with the objective to achieve customer satisfaction. and continually improving the effectiveness of the quality Management system. Employees at all levels in the Organization will be made aware of the Company's Quality policy through continuous training. The design of any product & services shall fully meet the customer's quality requirements including functional, aesthetics, and reliability and performance characteristics. The Company is committed to up grade and augment, technology, facilities and product performance to meet changing market scenario.